You may already recognise the individualistic vocals of UK homegrown talent Harrison from previous collaborations with dance music royalty, but in 2018 he rips up the rulebook and stamps on conventions with a solo, self-assured style – then again, did you expect anything less from the candid vocalist behind hits with David Guetta, Steve Aoki and Hardwell? 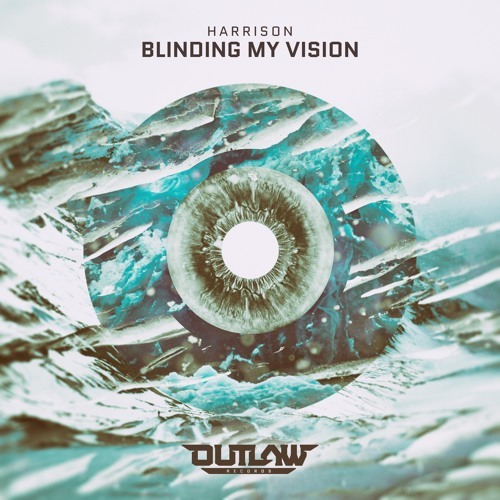 Launching his own imprint Outlaw Records with bold productions that propel his poignant, raw vocals, on ‘Blinding My Vision’ Harrison lays out an ambitious path of future bass that merges with his vocal flair. Fuelling the excitement of his upcoming ventures and proving his passion in stepping out solo, his sound is one that could only reside from a true artist taking control of his own destiny. In his own words Harrison’s take on this new label venture is: “Outlaw Records is my way of stepping out of my sound and exploring a new path with my music. I’ve had the pleasure of sharing studio time and collaborating with some incredible artists on many of my previous releases and that’s been truly amazing. For me now, I want to put focus on my own song writing and musical visions with my own label. I love collaborating and it will forever play a role in my music but being in the studio this past year I’ve felt I needed to express my abilities in a way that’s completely fresh. The music I’m making today feels more like the Harrison sound I’ve always wanted to create.” Previously topping the charts in Holland and taking his own musical workings, remixes and collaborations to huge live events including London’s SW4, Ministry Of Sound and to sell-out headline Asian dates of his own, ‘Blinding My Vision’s course into accessible dance gets set to sound at home just as much on prime time radio, as it would at peak time in a capacity club or arena; make no mistake with Harrison’s Outlaw projects, his vision is anything but blinded… Get your hands on ‘Blinding My Vision’ out via Outlaw Records March 2nd, 2018.
increíble... solo podemos decir que nos encantaría subir un tema a Outlaw muy pronto!